We can take such comfort in the story of Sha’-drach, Me’-shach, and Abed-nego in the fiery furnace as when King Neb-u-chad-nez’-zar looked and saw four in the midst of the furnace and the fourth was like the Son of God. This encourages us to know that no matter what trial we go through in this life we are never alone and are BLESSED! (Daniel 3:24-28). Then Nebuchadnezzar the king was astonished, and rose up in haste, and spake, and said unto his counsellors, Did not we cast three men bound into the midst of the fire? They answered and said unto the king, True, O king. He answered and said, Lo, I see four men loose, walking in the midst of the fire, and they have no hurt; and the form of the fourth is like the Son of God. Then Nebuchadnezzar came near to the mouth of the burning fiery furnace, and spake, and said, Shadrach, Meshach, and Abednego, ye servants of the most high God, come forth, and come hither. Then Shadrach, Meshach, and Abednego, came forth of the midst of the fire. And the princes, governors, and captains, and the king’s counsellors, being gathered together, saw these men, upon whose bodies the fire had no power, nor was an hair of their head singed, neither were their coats changed, nor the smell of fire had passed on them. Then Nebuchadnezzar spake, and said, Blessed be the God of Shadrach, Meshach, and Abednego, who hath sent his angel, and delivered his servants that trusted in him, and have changed the king’s word, and yielded their bodies, that they might not serve nor worship any god, except their own God. For some it is hard to believe something unless they see it as in the case of Thomas, he would not believe Jesus rose from the dead till he could see the nail prints in Jesus hands or put his hand through HIS side. Jesus said BLESSED are those who have not seen and yet believe! (John 20:24-29). But Thomas, one of the twelve, called Didymus, was not with them when Jesus came. The other disciples therefore said unto him, We have seen the Lord. But he said unto them, Except I shall see in his hands the print of the nails, and put my finger into the print of the nails, and thrust my hand into his side, I will not believe. And after eight days again his disciples were within, and Thomas with them: then came Jesus, the doors being shut, and stood in the midst, and said, Peace be unto you. Then saith he to Thomas, Reach hither thy finger, and behold my hands; and reach hither thy hand, and thrust it into my side: and be not faithless, but believing. And Thomas answered and said unto him, My Lord and my God. Jesus saith unto him, Thomas, because thou hast seen me, thou hast believed: blessed are they that have not seen, and yet have believed. We are taught to deny ungodliness and worldly lusts, even to live soberly and righteously in this present world. Our BLESSED HOPE is to wait for the appearing of our Saviour. (Titus 2:12-14). 12Teaching us that, denying ungodliness and worldly lusts, we should live soberly, righteously, and godly, in this present world; Looking for that blessed hope, and the glorious appearing of the great God and our Saviour Jesus Christ; Who gave himself for us, that he might redeem us from all iniquity, and purify unto himself a peculiar people, zealous of good works. To the carnal mind the following passage would not make much sense, but to the spiritually minded it makes perfect sense to suffer for what is right to one day enter heaven for all eternity! (Matthew 5:1-12). 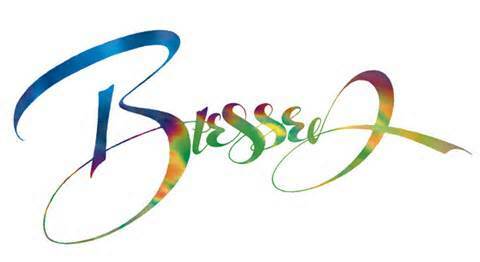 Blessed are the undefiled in the way, who walk in the law of the Lord. Blessed are they that keep his testimonies, and that seek him with the whole heart. They also do no iniquity: they walk in his ways.